Sirdar Ella DK is a cotton blend DK knitting yarn with a sparkling summer feel in fresh pastel shades and a cotton and acrylic blend that has a silvery glitter thread running through to catch the sun - perfect for day through to evening wear. Sirdar Ella DK knits to a standard DK tension of 22st, 28 rows to 10cm on 4mm needles and is machine washable at 40' (do not iron). 49% cotton, 48% acrylic, 3% polyester. 50g balls, 126m, 138 yds. Sirdar Ella Cotton Blend DK, Pistache, 8. A machine washable blend of 49% cotton with acrylic and a silvery glitter thread, knits to a standard DK tension. 50g, 126m per ball. Sirdar Ella Cotton Blend DK, Very Lily, 9. A machine washable blend of 49% cotton with acrylic and a silvery glitter thread, knits to a standard DK tension. 50g, 126m per ball. Sirdar Ella Cotton Blend DK, Peppermint, 7. A machine washable blend of 49% cotton with acrylic and a silvery glitter thread, knits to a standard DK tension. 50g, 126m per ball. Sirdar Ella Cotton Blend DK, Clementine, 2. A machine washable blend of 49% cotton with acrylic and a silvery glitter thread, knits to a standard DK tension. 50g, 126m per ball. Sirdar Ella Cotton Blend DK, Cool Cream, 1. A machine washable blend of 49% cotton with acrylic and a silvery glitter thread, knits to a standard DK tension. 50g, 126m per ball. Sirdar Ella Cotton Blend DK, Candy PInk, 3. A machine washable blend of 49% cotton with acrylic and a silvery glitter thread, knits to a standard DK tension. 50g, 126m per ball. 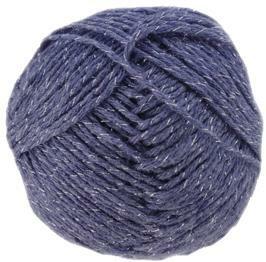 Sirdar Ella Cotton Blend DK, Superstar 11 in a dark denim blue. A machine washable blend of 49% cotton with acrylic and a silvery glitter thread, knits to a standard DK tension. 50g, 126m per ball. Lace shawl (16 row repeat, alt rows purl) with frilled garter st edging and wrap (12 row repeat, alt rows plain) shown in Sirdar Ella DK. Waistcoat in eyelet lace has deep V neck with 3 buttons, shown in Sirdar Ella DK. Includes larger sizes 81-137cm (32-54in). V neck cardigan with 3/4 or long sleeves in Irish moss st with chevron lace panels, worked in one piece to armholes. Shown in Sirdar Ella DK, includes larger sizes 81-137cm (32-54in). Sirdar 7016, woman and girls short and long sleeve cardigan to fit 61-117cm, 24-46ins and shown in Sirdar Ella DK. Sirdar 7017 woman and girls short and three quarter sleeved cardigan with lace pattern to fit 61-117cm (24-46ins) and shown in Sirdar Ella DK.